The new owners of the Nashville NightWatch have made their mark on the team by updating their team logo. 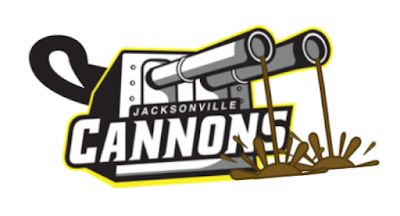 This will be the NightWatch's third logo as the enter their fourth AUDL season. 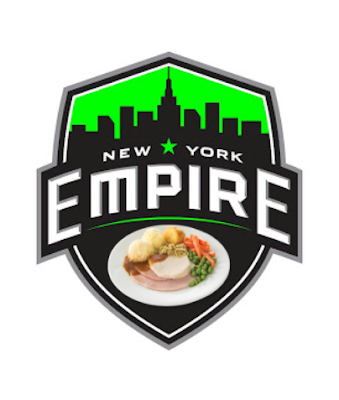 The new spread eagle shield logo is a stark departure from their original logo and their reboot in December 2015. 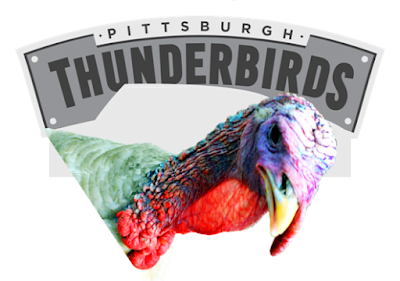 Thanksgiving was last week and leftovers are still lingering, so here are all the Thanksgiving-inspired AUDL logo updates for U.S. bird teams, et al. 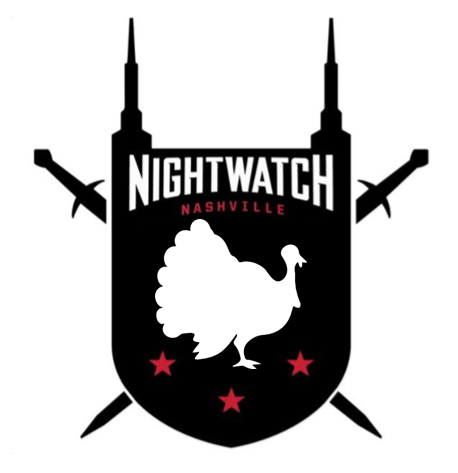 Nashville NightWatch bird into a turkey. 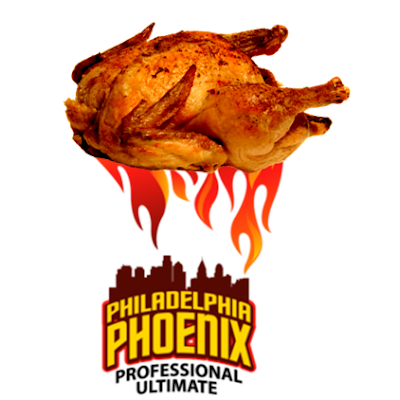 Philadelphia Phoenix as a flame-broiled turkey. Minnesota Wind Chill wishbone pulling. Dallas Roughnecks with a healthy portion of pumpkin pie. Hi: What are they going to do about all the injuries in professional football? Chip: They'll have to change the game. RELATED: WIRED recommends ultimate > football. 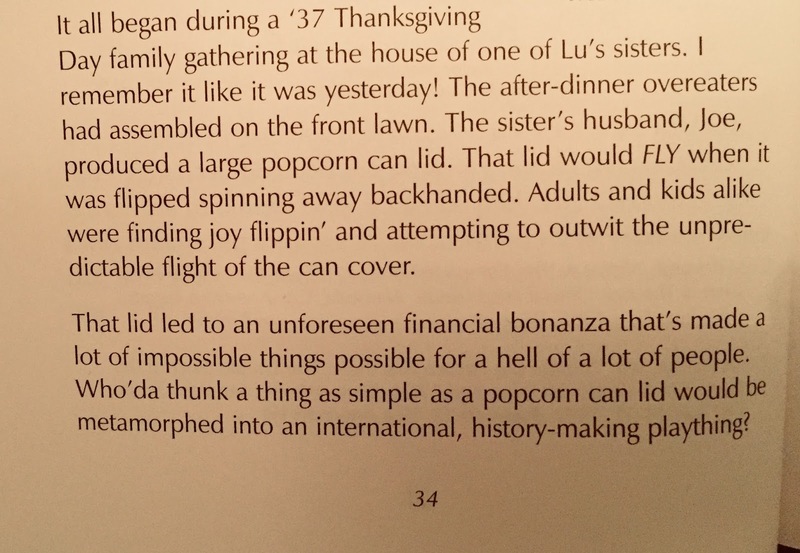 "It all began during a '37 Thanksgiving Day family gathering..."
"...a large popcorn lid would FLY when it was flipped spinning away backhand. 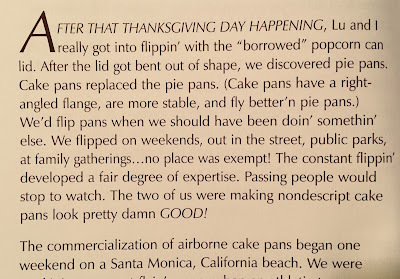 Adults and kids alike were finding joy flippin' and attempting to outwit the unpredictable flight of the can cover." 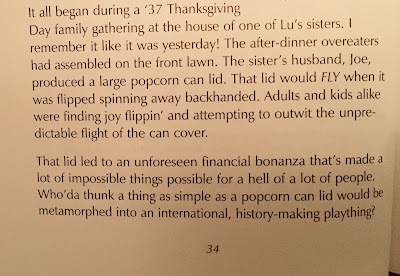 After that Thanksgiving Day (November 25) happening, Lu and I really got into flippin' with the "borrowed" popcorn can lid. After the lid got bent out of shape, we discovered pie pans...[then] cake pans. 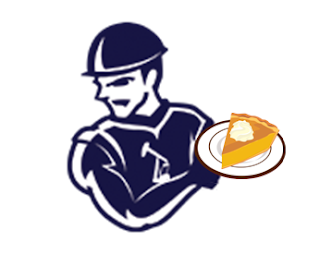 (Cake pans have a right-angled flange, are more stable, and fly better'n pie pans.)" 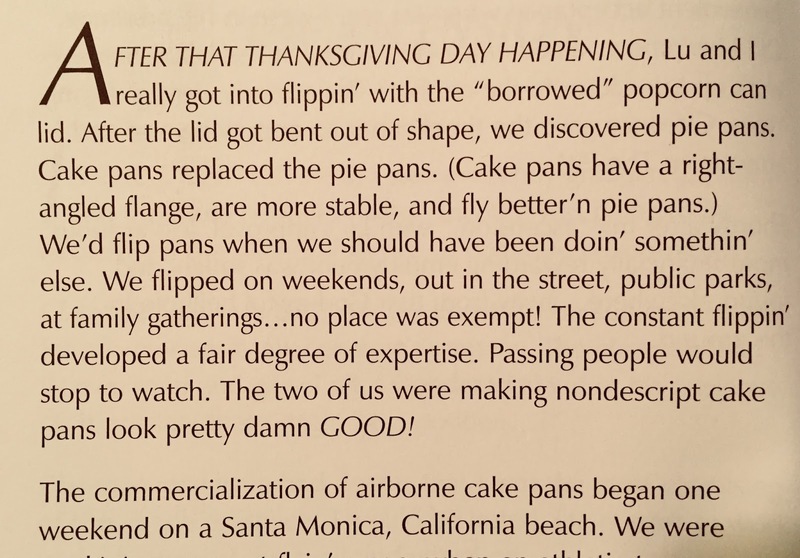 The commercialization of airborne cake pans one weekend on a Santa Monica, California beach. The Morrisons would go on to sell their plastic flying saucer type toy (later renamed as Frisbee) to WAMO in 1957. After 10+ years and nearly 4000 posts later, the SLUDGE blog is significantly scaling back its operations as a weekdaily blog. The SLUDGE blog began as a space for team musings then expanded to Put Something In* for the goings-on of the sport of ultimate. The independent blog has been run solely since its launch in 2006. Today, it cannot continue as a one-person operation. 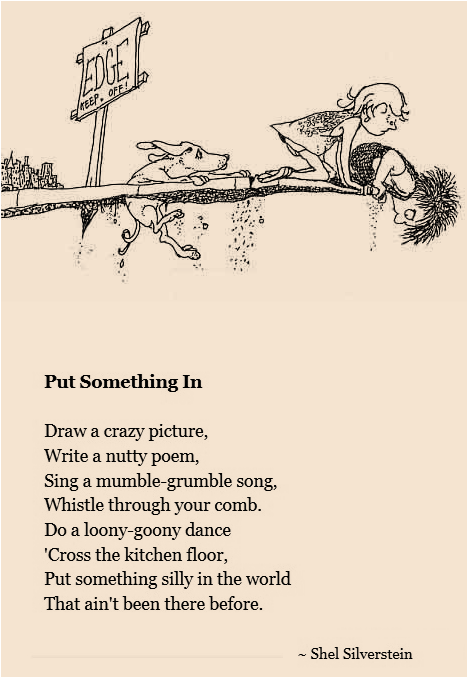 The SLUDGE blog has been a healthy obsession and a creative outlet for me. Through injury and health, via spotty WiFi and T1 internet, on mobile device and Mac laptop, during vacation/holiday and work days, blog visitors could find a daily post Monday through Friday (plus some weekends). Thank you to those who have ever visited the SLUDGE blog for its coverage on ultimate, Frisbees and flying discs. I appreciate the opportunity to share what I discovered and uncovered. 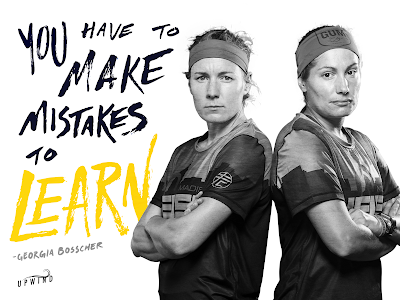 Hopefully you learned something along the way. I know I did. 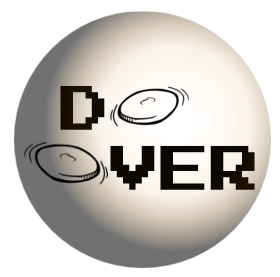 Expect more content in the future; just not as frequent output. 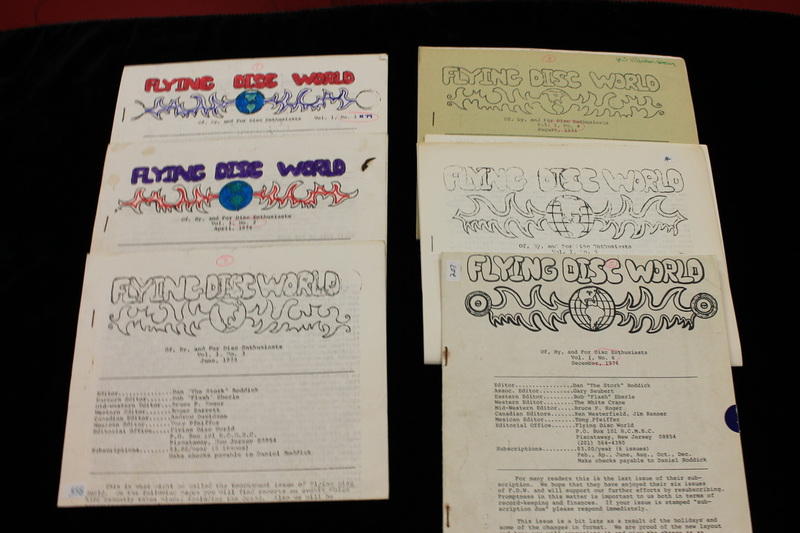 A classic bumper sticker promoting Flying Disc World - a newsletter "of, by, and for Disc Enthusiasts." Break the spheroid habit - have a ball with a disc. 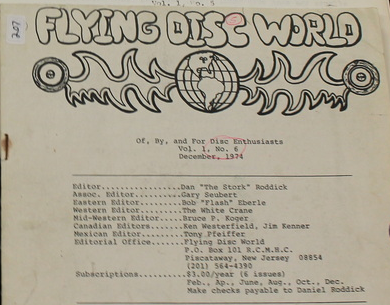 The 1974 publication was edited by Dan "The Stork" Roddick and subscriptions went for $3/year for 6 issues. Joshua "Zip" Ziperstein (Brown University Ultimate) wrote down his advice for becoming a better ultimate player. Ziperstein, for what it's worth, would go on to become a doctor. 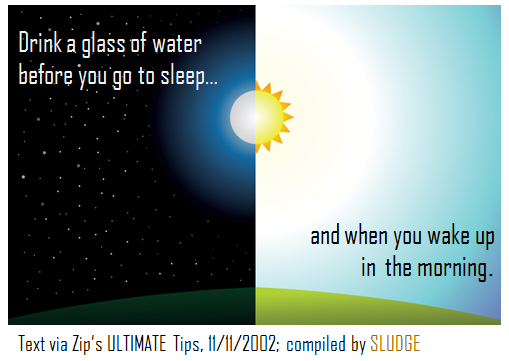 Zip's Tip: Drink a glass of water before you go to sleep and when you wake up in the morning. 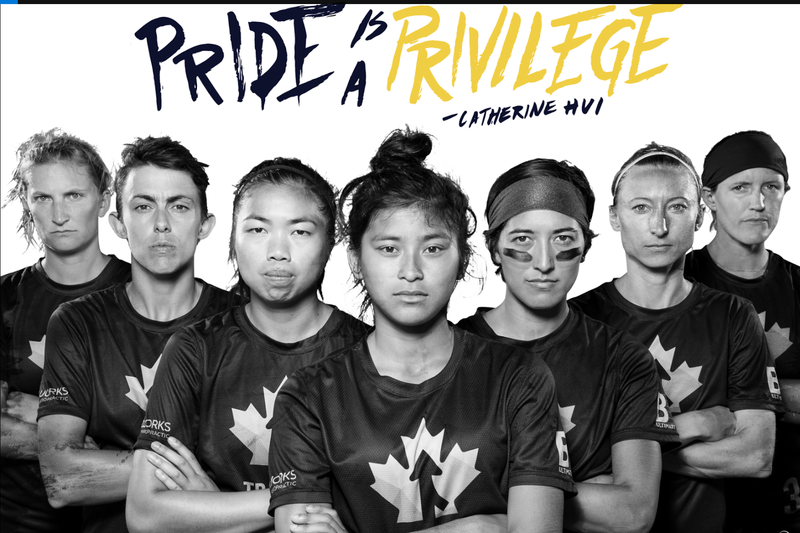 Lili Gu (Writer, Director), Brittany Kaplan (Director, Editor), and Julia Johnson (Producer) are collaborating on a feature documentary that will tell the stories of underrepresented and marginalized individuals pushing for gender, race, and class equity in the growing world of ultimate frisbee, from 1968 to the present. Their team is deep into research and pre-production, and have not yet begun production. 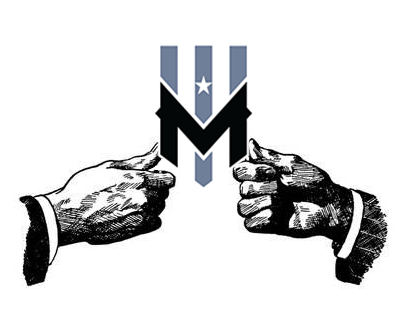 This kickstarter of $65000 is to help with our first big shoot, where they will travel across the USA from January - April, 2018, speaking to current and past members of the ultimate community who have pushed for equity. SLUDGE just $upported this worthy flick project, which is seeking funds until November 24.
the first intercollegiate game was played at Rutgers University? True. the game was originally scheduled for October 15th but changed to November 6? True. this 1972 ultimate Frisbee game was played on a parking lot? True. 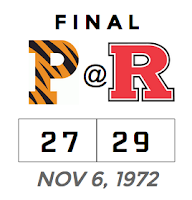 Rutgers won the game by 2 points over Princeton? True. Final score 29-27. A woman played in the first intercollegiate game in 1972? True. 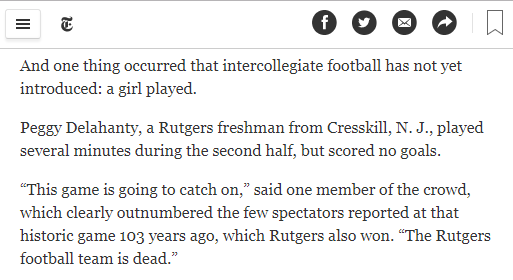 Peggy Delahanty, a Rutgers freshman, played in this historic game as noted in The New York Times (below). Author Adam Zagoria highlighted the significant milestone in Ultimate News in 2005. And one thing occurred that intercollegiate football has not yet introduced: a girl played. Peggy Delahanty, a Rutgers freshman from Cresskill, N. J., played several minutes during the second half, but scored no goals. 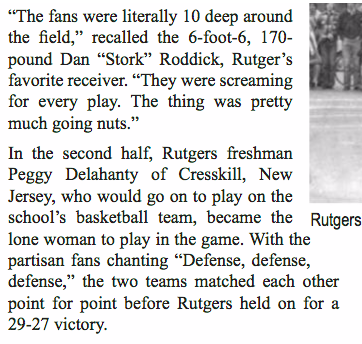 "In the second half, Rutgers freshman Peggy Delahanty of Cresskill, New Jersey, would go on to play on the schools' basketball team, became the lone woman to play in the game." 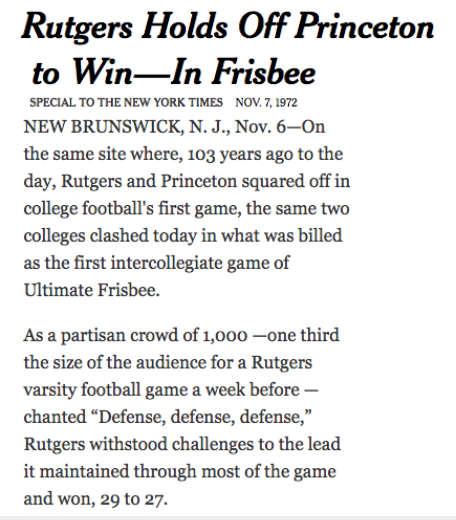 On this date in 1972, the first intercollegiate ultimate Frisbee game was played between Rutgers University and Princeton University. The November 6th game was organized by Irv Kalb – a Columbia High School graduate and a freshman student at Rutgers – on the same date Princeton and Rutgers played the first college football game in 1869. This game was originally scheduled for early October, but later changed to coincide with the historical football date. This college frisbee game was played on a parking lot, which was the approximate location where the first football game was played exactly 103 years earlier. Rutgers won this ultimate game over Princeton by 2 points—the same score difference of the first football game. The New York Times covered the college sporting event (above) and estimated the crowd at 1000 - way more than the local paper's estimated attendance. 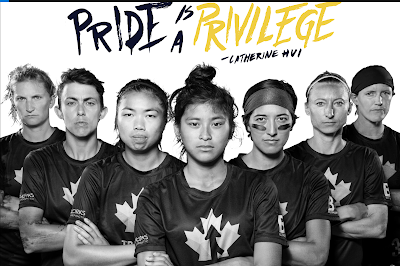 San Francisco Fury won the Women's Division title at the recent 2017 USA Ultimate National Championships. 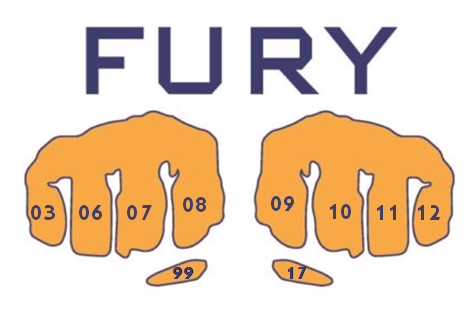 Fury's 2017 title is their first since 2012 and their 10th overall since 1999. 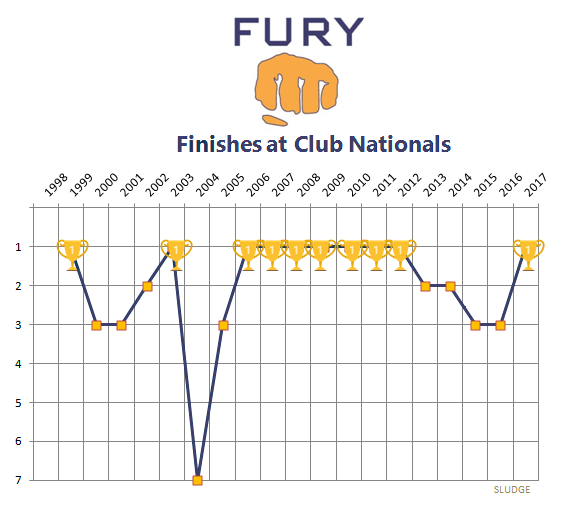 Fury was founded in 1997 and after their inaugural season (1998) of not qualifying for Nationals, Fury has qualified for Club Nationals 19 consecutive seasons. Their 7-peat (2006 through 2012) is mighty impressive as is their total number of club titles, which is one more than Boston Lady Godiva (9 titles from 1988 through 2002). 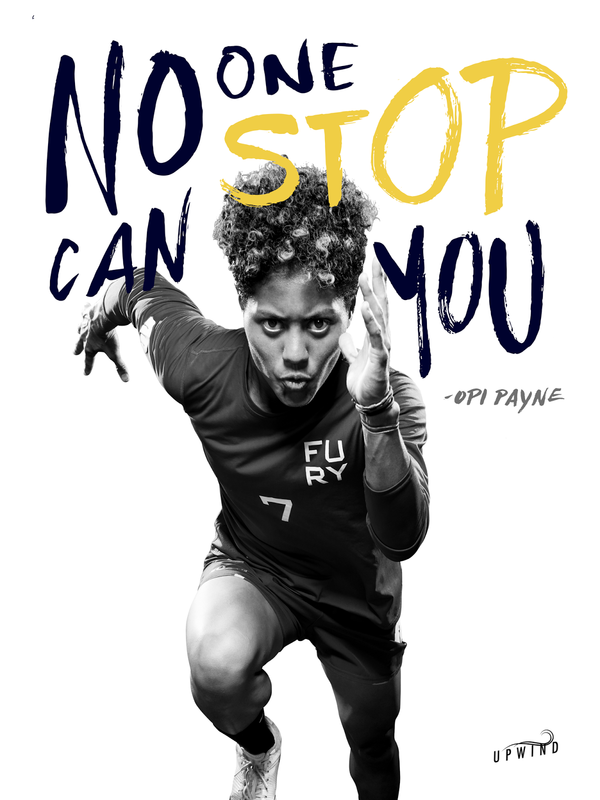 In addition to the winning the club championship ten (10) times - the most titles in the USA Ultimate Women's Division, Fury has consistently been in the Top-3 of the Women's Division 18 of 19 appearances at Nationals. NOTE: Fury tied for final placement in 2000, 2004, 2005, 2015 and 2016. 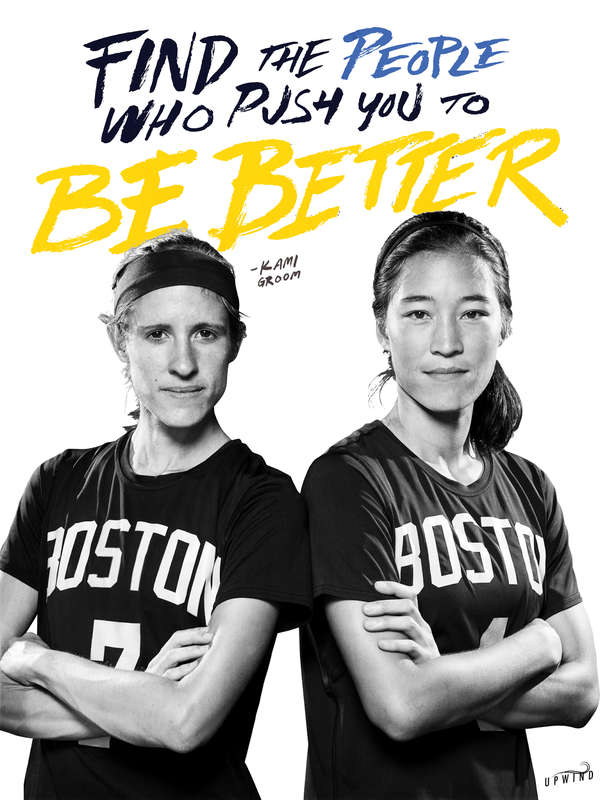 Upwind Ultimate is now selling four motivational posters featuring women ultimate players. Cost: $15 each, or $50 for all 4 posters.